how often should they be given for dogs? Vaccinating pets has long been considered to be one of the best and easiest ways of helping our pets live a long and healthy life. Today, vaccinations have become commonplace for dogs because they help prevent potentially serious diseases like rabies, distemper, and hepatitis. Regular vaccinations can not only protect your dog’s health, but they can also improve your dog’s overall quality of life. There are 2 different types of vaccinations which your dog can receive. They are the core and non core vaccines. 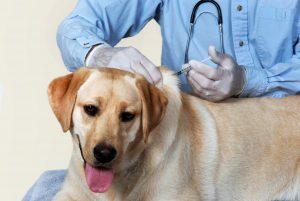 The core vaccines include vaccinations which are considered crucial or essential for dogs; it involves fatal illnesses or illnesses which are easily transferred. Some of these diseases include; distemper, rabies, adenovirus and parvovirus. The second type known as non core vaccines, and includes protection against the diseases which are dependent on lifestyle or/and environmental exposure. These are the vaccinations which you’ll need to consult with your dog’s veterinarian so as to determine if the dog requires them. They include kennel cough, Lyme disease and leptospirosis vaccines. Experts and veterinarians agree that the widespread use of dog vaccinations in the last century has really helped prevent diseases and deaths in millions of dogs. Failure to vaccinate your dog against diseases like rabies is unlawful in every state in the U.S. As a matter of fact, it is mandatory to have dogs vaccinated and failure to do so can lead to some hefty fines. There are numerous diseases which can be transmitted from dogs to humans (like rabies and Leptospirosis). Vaccinating your dog helps reduce risks of human infection, and is even more necessary if there are elderly, immuno-compromised or kids in the household. If you plan on dropping your dog somewhere for boarding, then they need to have the updated Bordatella vaccination. The vaccine protects dogs against most strains of kennel cough; which are highly contagious amongst dogs in a close environment. For instance, a rabies vaccine can be highly effective at protecting your dog in case he/she is bitten by a rabid animal. The vaccination will help prevent your dog from succumbing to the rabies symptoms like partial paralysis, drooling, behavioral changes and death. Vaccinations are much less expensive as compared to the cost of treating your dog for the diseases which you could otherwise protect against. In other words, vaccinations help avoid the costly treatments for the illnesses which can be prevented. There are many things out there which could be very harmful to your dog. For instance, your dog can come in contact with unvaccinated wild animals which may have Distemper, Lyme disease and even rabies. Moreover, dog parks and play dates with the other pets can expose your dog to such preventable diseases. Therefore, vaccinating your dog is the best possible step you can take, to ensure your dog is always protected from the preventable diseases. When a dog is vaccinated, a very small amount of infectious agent, (agents are modified to not cause any harm to your dog), gets administered to the dog. The infectious agent in the vaccine formulation stimulates your dog’s immune system so it can generate protective immune response. The vaccine induced immune response, prepares the dog’s immune system for any future exposure to the natural disease causing agent. In case of any exposure in the future, the vaccination induces a generation of the memory cells in your pet’s immune system to immediately neutralize the condition. A properly immunized dog will eliminate the pathogenic disease agents before they can cause a serious disease. What is a distemper vaccine? A canine distemper vaccine is a combination vaccine. It usually includes canine adenovirus-2 infection (hepatitis and respiratory disease), canine parvovirus infection, parainfluenza, Coronovirus and Leptospirosis. The abbreviation for this combination vaccine is frequently written as “DHPP,” “DA2PP,” “DHPPV,” or “DA2PPV” or “DHLPP” etc, on a pet’s health records. The diseases a Canine distemper protect from are fatal viral diseases which can attack dogs, especially unvaccinated dogs and puppies. 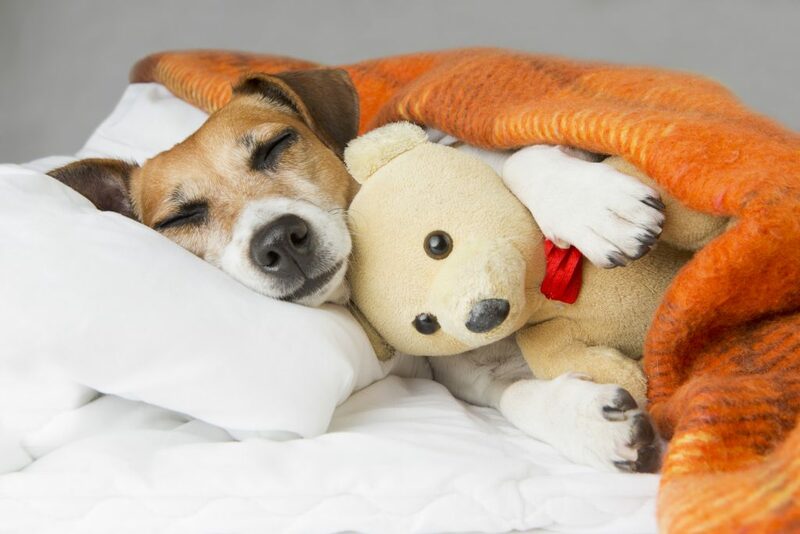 The virus attacks the dog’s nervous system and some of the signs include; respiratory problems, fever, runny eyes and nose, coughing, skin reactions, loss of appetite, vomiting and diarrhea. Some dogs can also develop progressive paralysis, muscle spasms and convulsions. Outbreaks of distemper tend to occur in areas which have low vaccination rates. Thus, distemper vaccinations are highly recommended. The distemper vaccine is one of the first dogs get when they’re between the ages of 4 weeks to 20 weeks. The dogs then receive boosters based on the veterinarian’s recommendation. How Often Do You Need To Vaccinate Your Adult Dog? Adult dogs over a year old may require one initial dose of the core vaccines (Distemper and Rabies), a booster may be recommended for some in 3-4 weeks for Distemper. Then boosters should be given every three years. As for puppies, there’s a standard schedule of the vaccinations which needs to be met in the 1st year of their life. Typically, puppies should be vaccinated for Distemper at 8, 12 and 16 weeks. Rabies is given at 16 weeks. Then one year later they are boostered for Distemper and Rabies. After that, core vaccinations of Distemper and Rabies will be administered every 3 years, based on the veterinarian’s recommendation. The health of our pets can be a massive concern. We always want what is best for them so they can live long, healthy lives with us and we want this for as long as possible. 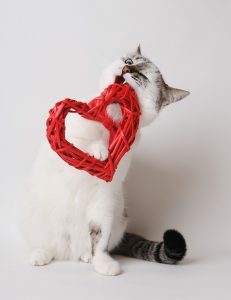 For many of us, this means disease prevention through regular check-ups and vaccines for cats. There are many vaccinations for cats, all of which need to be administered at the right time. When a cat is vaccinated, a very small amount of infectious agent, (agents are modified to not cause any harm to your cat), gets administered to your cat. The infectious agent in the vaccine formulation stimulates your cat’s immune system so it can generate protective immune response. The vaccine induced immune response, prepares the cat’s immune system for any future exposure to the natural disease causing agent. In case of any exposure in the future, the vaccination induces a generation of the memory cells in your pet’s immune system to immediately neutralize the condition. A properly immunized cat will eliminate the pathogenic disease agents before they can cause a serious disease. At 8 weeks, your new kitten will receive their first Distemper combination vaccine. This generally includes three core vaccinations. Many vets prefer a modified live virus, rather than one with a killed virus, because they tend to work faster with greater efficiency. Both types of vaccines, modified live and killed, are modifications of the disease to give all the benefits without the disease actually taking hold in our pets. Options and advice may vary between veterinarians. Feline Viral Rhinotracheitis (FVR): The vaccine for this disease is another, effective, low risk option. It does a great job at reducing the severity and duration of disease, but some cats may experience the side effect of sneezing. Some vets advocate the use of an intranasal vaccine for faster protection. Feline Calicivirus/cat flu (C): Like FIE, this illness is common and can easily infect unvaccinated cats. Vaccines can be effective and low risk, with a high impact. However, there is the issue that the threat cannot be completely eradicated. Like human flu, there are many strains and it is difficult to fight them all. Panleukopenia (P): There are many names for this illness, another being feline infectious enteritis, or FIE. It is caused by the panleukopenia virus and can turn into a fatal gut condition. Unvaccinated cats are seen as being at great risk from this virus because it is so widespread. The good news is that the FIE vaccine is effective and low risk. The above are all air born diseases. That means that they are spread through the air. They can affect inside cats through windows, open doors, fans drawing air inside the home, etc. Many people believe that their inside cats are not at risk but if there is an affected cat roaming around outside you home, that is simply not true. The combination Distemper vaccines includes the core vaccinations that all kittens need and they will receive additional boosters during their vaccination schedule. 12 weeks sees the second Distemper combination and maybe a vaccination for Chlamydophila (Pneumonitis). Chlamydophila vaccinations are also provided in later life based upon the prevalence of the disease and lifestyle of the cat. It is spread via a bacteria in close physical contact, causing conjunctivitis. It therefore only really affects multi-cat households and kittens. Owners should also note here that kittens won’t be fully protected until around 10 days after this second vaccination. 16 weeks sees another Distemper combination, a booster for Chlamydophila and new vaccinations for Rabies and Feline Leukemia. FeLV vaccinations are recommended to all kittens because of their susceptibility and the chance they may become outdoor cats. 19 weeks is a booster for FeLV for kittens that continue to be at risk of exposure to this feline leukemia virus. All vaccines are booster 1 year later. Then every 3 years for Distemper and Rabies. The cat vaccine schedule for kittens is vital to ensure that young cats get everything they need to fight off key feline illnesses. The next concern for cat owners is what to do with adult cats. There are some cat owners and veterinarians that are keen to provide boosters for all illnesses every year, just to be on the safe side, especially if they are outdoor cats. There are adult booster vaccinations for the Distemper combination, chlamydophila, FeLV and rabies shots. The types, intervals and times will depend on the advice of your vet. It must be noted that the AAFP recommends that FeLV vaccinations are not given to indoor adult cats with no exposure to other cats. For adult cats with unknown vaccine history that will be indoor cats, they are usually given a Distemper and Rabies initially, then boostered in one year, then every 3 years after that. Why bother with vaccines for cats in adult life, or even as kittens? 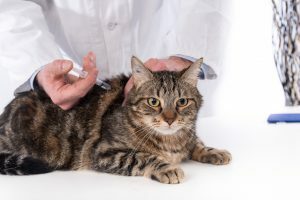 There are some cat owners that are against the idea of vaccinations and medical intervention for diseases that their pets are unlikely to contract. While it is true that many of the diseases prevented by these cat vaccines are rare these days, there is still a risk. The rarity of illness is due to vigilant vaccinations. A decline, and the mingling of un-vaccinated animals, could increase this risk significantly. A vaccine is a small price to pay, and small inconvenience, for long-term protection against horrific, potentially fatal illness. Don’t put your kittens and cats at risk. Keep up to date with your cat vaccine schedule. The details of these vaccinations for cats can vary depending on age, locations and circumstances. However, it is important that you stick to whatever schedule is recommended by your vet. A clear plan of action will provide all the necessary vaccines for all the right diseases. It is so much better to be safe than sorry. Just like humans, dogs can also have asthma. Asthma is simply a term that describes having difficulty with breathing and is medically referred to as dyspnea. It is usually caused by a reaction to an allergen in the environment which results in constriction and spasms of the airways and it presents as shortness of breath and wheezing. In dogs, this problem is usually called allergic bronchitis and it is usually acute, although long term allergic bronchitis can also result. The latter can cause progressive degradation of the respiratory tissues and results in permanent damage. It is important to state that dog asthma is not a disease and it is not contagious or infectious. It is simply a response to inhaled allergens like pollutants and irritants, some of which are more common in winter. Asthma in dogs happens more in dogs with compromised immune systems and older dogs than the young and healthy ones. Generally, dogs have asthma because of exposure to irritants and allergens in the air like dust, pollen, little seeds from plants, fireplaces, wood burning stoves, air fresheners, deodorizers, floor or carpet cleaners, cigarette smoke or smoke from incense. Therefore, these things should be avoided this winter to keep your dog safe. In addition, some breeds of dogs are more prone to asthma than others because of the way their airways are formed; this applies to small dogs like malteses and pugs. Gender is not a predisposing factor. Asthma may also be caused by more deep seated problems like viral or bacterial infections, cancers or even worms. It is winter and the temperature drops to really low levels, which makes it more difficult to breathe even for humans. Therefore, ensure you always keep your dog warm so as to enable them breathe easily. In addition, it is the holiday season, so you will need to pay closer attention to the kind of items you leave lying around in your home. If you usually use a strong smelling air freshener, you should consider using a milder one so as not to trigger your dog’s asthma. Also, cigar smoke and your dog should be kept far apart from each other. Your decorative plants should not have small pollens that can be inhaled by your dogs, thus precipitating an attack. Overall, you should pay closer attention to your dog this winter. If your dog shows any of the listed signs and symptoms, you should take them to the veterinary clinic immediately. There are various treatments available to effectively manage the condition. Your Pets Safe in Cold Weather? As a good pet owner, you should be aware that winter is a time when you should pay close attention to the weather and temperature changes and act accordingly to keep your pet in the best state of health. The best situation would be to ensure that your pet spends more time inside than outside, but this might be an uphill task. Therefore, these are some tips to help keep your pet safe this winter. If your dog is very active and loves the outdoors, then you should ensure you feed him with a higher protein diet so as to keep him in shape. Also, whenever you get back from walks, always wipe your pet down with an absorbent towel. Dogs tend to lick their paws and you definitely want him cleaned off before he has a chance to lick the melted ice off. Why? Well, this is due to the fact that many people use antifreeze products that are very toxic to pets. Additionally, when it snows, it is very easy for dogs to lose their scent and hence, get lost. Therefore, always keep your pet on a leash whenever you step out of your house this winter, especially when it snows! If you have to run a quick errand to the mall or to the grocery store, do not leave your pet in a locked car. This is never a really good idea but, during winter, your car traps cold air and this makes it dangerous for your pets. Also, always keep your pets dressed for the weather in warm and comfortable clothing. Just because your dog is wrapped in fur doesn’t mean he can’t still be cold outdoors. Furthermore, this is the season to pay better attention to your dog’s housing arrangements. For small pets like rabbits and even your cats and dogs, it is important that you situate their beds in places that are free from draft. The best way to determine this is to actually sit in the spot where you want to put your pet’s bed and observe if there is any draft. Thereafter, you can choose the best location for them. This becomes especially import for senior pets. As they begin to reach their sunset years, the cold can wreak havoc on their bones as many dogs are already suffering from conditions of the bones such as arthritis. It is not advisable to keep your pets outside in winter, but if it becomes unavoidable, then you must ensure that you make the best choice when picking the housing materials. For instance, when selecting dog houses, your best bet are the plastic houses that are properly insulated from the cold and have a raised platform. This will help conserve heat within the house and keep your dog warm through the night. When considering the choice of bedding or “furnishing” to use for your pet’s house, you should use a straw bedding and also get stall mats or rubber utility mats for the floors. This will provide a place that is dry and comfortable for your pet to sleep on. Placement of your pet’s shelter is key. When deciding where to place your animal house, always consider the direction of the winds. 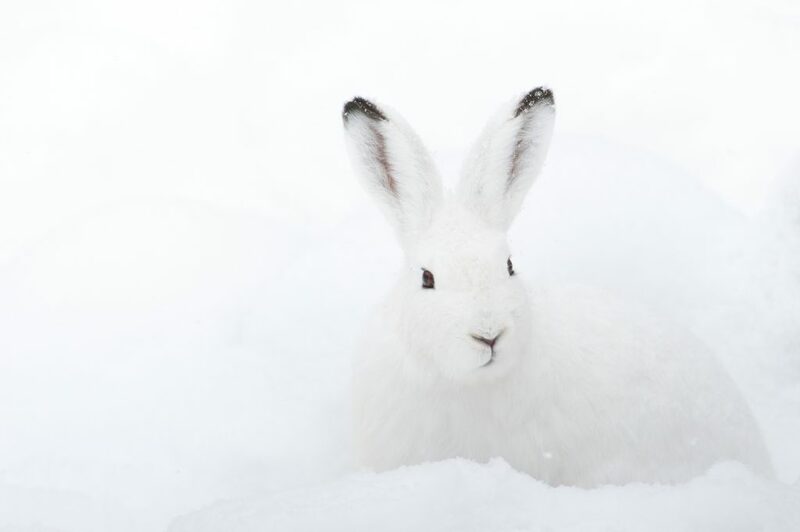 If your pet is a rabbit, then you should consider including a wind guard and a rabbit den made of plastic. They offer better protection from the elements. The important thing to always keep in mind is that your pets should be treated as family, so you must make sure they are kept safe and comfortable this season and always. The main thing is to always ensure your pets’ comfort and safety. Are You Ready For Some Pawball!